The Innokin Kroma Vaping System Kit is composed of iTaste Kroma 2000mAh internal battery and 2ml Slipstream tank. This kit features compact appearance with bright OLED display, variable wattage and temperature control mode. 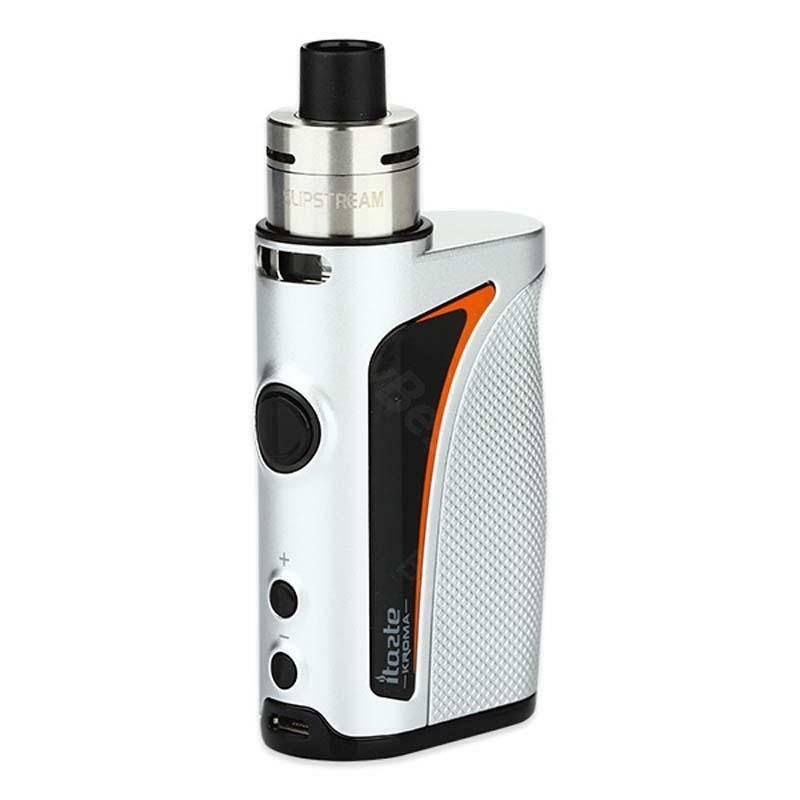 The Innokin Kroma Vaping System Kit is composed of iTaste Kroma 2000mAh internal battery and 2ml Slipstream tank. This starter kit features extremely compact appearance with bright OLED display, durable and ergonomic. It is a portable device that you’ll want to take with you wherever you go. Innokin iTaste Kroma TC MOD has variable wattage and temperature control mode with Nickel 200, Titanium and Stainless Steel. The fire button is large and very simple to use, can be up to 75 Watts. Instead of 5-click to power up, the Kroma requires 3-click to turn it off or on. The OLED screen is located on the side which is very clear and easy to read. It also features 2Amp Micro USB Quick charge and Vape while charging technology. SlipStream subohm tank inserts deeply from the mod to reduce the overall size more compact for stealth vaping. It is also included the adapterto to offset the inset and you can use standard 510 atomizers. It features anti-leak cup design tank to help minimize leaks, and it is easy to top filling. All in all, it is one of the best small sized TC box mod for vapor. The product arrived quickly and in time. There was no injury. The product works perfectly. Compact product, good quality, works well. Value for money is right! At this moments everything works on it. The filled liquid is evaporated well. The taste is delicious. Handy, adjustable tank, you can change to another 510 tank, it has innokin website, user manual is simple if you know English.